HTD Canada Mint Green cotton candy flossine concentrate will help you save money and make delicious cotton candy that will melt in your mouth. Many fairs, large events and amusement parks use our concentrate floss sugar instead of the premixed versions to make cotton candy because of their volumes, you can easily mix this but it is meant for large run users. 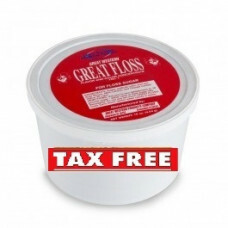 If you need cotton candy for smaller runs then please consider our premixed cotton candy sugar floss. Our Mint Green sugar concentrate makes it easy to mix and store just get yourself a large 5 lb. plastic storage container to mix within and add 1.5 tablespoon or 1 tablespoon of concentrate to 5 lbs. of cane or beet sugar and mix thoroughly. You'll be able to store it in the container until it's ready to use. This concentrate is for use in very large runs of cotton candy about 100 cones or 50 bags per batch! Sold in a 1 lb. container.